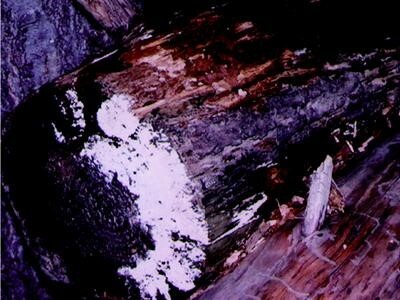 Mold growing outdoors on firewood. 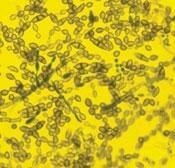 Molds come in many colors; both white and black molds are shown here. 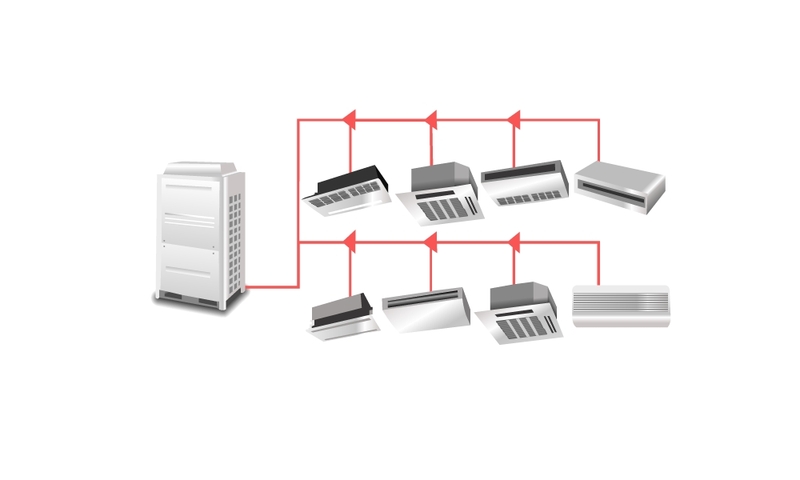 Variable refrigerant flow (VRF) is a HVAC technology invented in Japan by Daikin company around 1982. 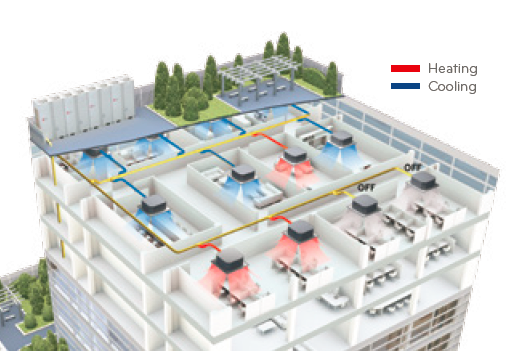 Like ductless mini-splits VRFs use refrigerant as a cooling and heating medium. This refrigerant is conditioned by a single outdoor condensing unit, and is circulated within the building to multiple Fan-Coil Units (FCUs). 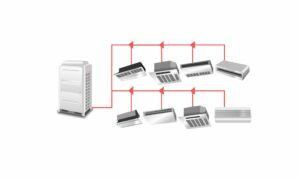 The modular design of VRF results in great energy savings providing occupants choice to air condition or heat only the zones in use. A VRF system provides exceptional dehumidification and temperature control by rapidly adapting to changing loads. 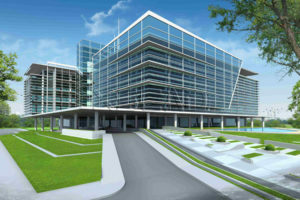 A Building Information Model is a kind of intelligent, 3D model for Building. This allows everyone involved in the building lifecycle – Owners, Developers, Architects, Engineers, and Contractors, – to seamlessly manage and share information. Building Information Modeling (BIM) accommodates many of the functions needed to model the lifecycle of a building, providing the basis for new construction capabilities and changes in the roles and relationships among a project stakeholders. it can smoothly facilitates an integrated design and construction process that results in better quality buildings at lower cost and reduced project duration. BIM produces construction documents that resemble those created by 2D CAD Drafting, but are done much faster and contain information about structure, quantities, materials and other data that can be used in both — Construction and Management of a building. 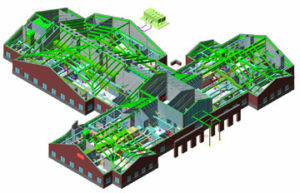 Designers can analyze the building design in detail and locate human errors, if any by BIM implementation. BIM provides adequate information for building performance analysis and evaluation, which is of vital importance for Sustainable Building Design. in a same time it produces accurate and extremely reliable information about the Building structure, system and materials used, it can generate energy efficiency, daylighting enabling green building design and aspects criteria. MIT researchers have designed a system that can 3-D print the basic structure of an entire building. The system consists of a tracked vehicle that carries a large industrial robotic arm, which has a smaller, precision-motion robotic arm at its end. The robotic system is described this week in the journal Science Robotics, in a paper by Steven Keating PhD ’16, a mechanical engineering graduate and former research affiliate in the Mediated Matter group at the MIT Media Lab; Julian Leland and Levi Cai, both research assistants in the Mediated Matter group; and Neri Oxman, group director and associate professor of media arts and sciences. Unlike typical 3-D printing systems, most of which use some kind of an enclosed, fixed structure to support their nozzles and are limited to building objects that can fit within their overall enclosure, this free-moving system can construct an object of any size. As a proof of concept, the researchers used a prototype to build the basic structure of the walls of a 50-foot-diameter, 12-foot-high dome — a project that was completed in less than 14 hours of “printing” time. The ultimate vision is “in the future, to have something totally autonomous, that you could send to the moon or Mars or Antarctica, and it would just go out and make these buildings for years,” says Keating, who led the development of the system as his doctoral thesis work. “The construction industry is still mostly doing things the way it has for hundreds of years,” says Keating. “The buildings are rectilinear, mostly built from single materials, put together with saws and nails,” and mostly built from standardized plans. The creation of this system, which the researchers call a Digital Construction Platform (DCP), was motivated by the Mediated Matter group’s overall vision of designing buildings without parts. Such a vision includes, for example, combining “structure and skin,” and beams and windows, in a single production process, and adapting multiple design and construction processes on the fly, as the structure is being built. Keating says the team’s analysis shows that such construction methods could produce a structure faster and less expensively than present methods can, and would also be much safer. (The construction industry is one of the most dangerous occupations, and this system requires less hands-on work.) In addition, because shapes and thicknesses can be optimized for what is needed structurally, rather than having to match what’s available in premade lumber and other materials, the total amount of material needed could be reduced. Materials provided by Massachusetts Institute of Technology. Original written by David L. Chandler. Note: Content may be edited for style and length.